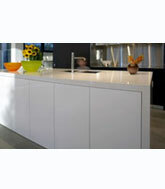 LAMINATED bench tops are a hardwearing, durable surface, perfect for a busy kitchen and lifestyle. Resistant to moisture and extremely high temperatures, our laminates are manufactured to provide maximum strength while remaining beautiful and stylish. Our laminated bench tops come with either a tight form (33mm or 38mm) or bullnose (33mm) edge, making your cooking and food preparation surface a pleasure to work on. Laminated bench tops are available in a wide selection of colours and textures, making it easy to find one that suits your home and style. 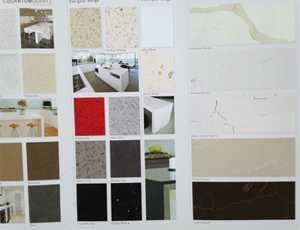 At Good Living Kitchens we are in touch with the rapidly growing interest is STONE BENCHTOPS. 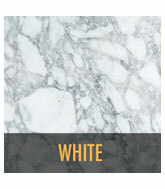 With a range of 38 colours to choose from and the finest texture options available, you are sure to find a unique design of quartz surface and colour that suits your taste and lifestyle. By keeping in touch and responding rapidly to the design needs of professional architects and designers, we are able to supply a wide range of Stone Tops, from fine-grained salt and pepper motifs to coarse-grained colour blends with variegated textures. Having a Stone Bench Top will provide you with endless possibilities for creativity and inspiration. Stone is the perfect touch to completing your new kitchen in style. 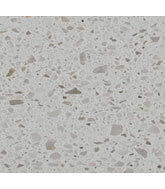 At Good Living Kitchens we supply the highest quality GRANITE Bench tops. Granite is incredibly durable, heat, stain and scratch resistant providing a carefree surface that is easily maintained and will look naturally beautiful even after 50 years. It provides beauty and elegance that will be appreciated for a lifetime. 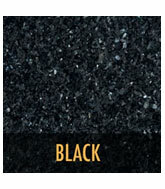 Since each piece of granite is different in colour, your countertops will be unique and distinctive, reflecting your personal taste and style. Traditional Range: 35/38mm thickness for most species. 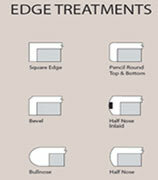 Economical Range: 30mm thickness in large variety of species. Recycled Timber Range: 40mm thickness in three distinct colour ranges. Since time immemorial, man has attempted to decorate and brighten his environment. The chosen decorative material has generally been wood. 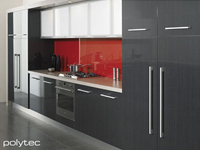 Sleek, smooth, stylish timber has always given endless scope for individual expressions of design. There is warmth and richness to wood that is unique and will always compliment and enhance any interior.